If ever there was a heart and soul of an organization, this is it for the History Center. Our Special Collections include documents, photographs, glass-plate negatives, maps, and artwork. 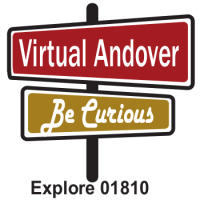 We hold the records of Andover institutions such as the South Church, Free Christian Church, and the Andover Village Improvement Society (AVIS). Below is a brief summary of our larger manuscript collections. The manuscript collections information presented here will be expanded as existing information is transcribed for the website. A complete listing of our manuscripts is also available by searching the card catalog at the Andover Center for History & Culture. Special Collections are available upon request during open hours, Tuesdays through Saturdays 10am to 4pm. The Punchard Free School opened its doors in 1856. Students studied mathematics, natural science, mental and moral philosophy, the Latin and Greek languages, rhetoric and logic. The first graduating class in 1859 recognized seven students. In 1902 the school's name changed to Punchard High School. Andover Civil War drummer boy George Smart served in Horace Holt's division. Smart died of disease while he was just 17 years old. Holt sent this letter to George Smart's father Hugh Smart. 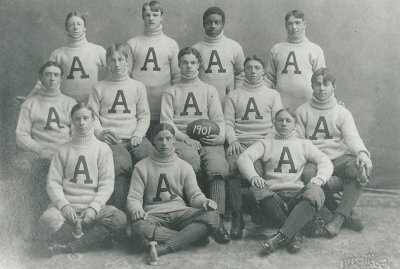 The letter was donated to Andover Historical along with Smart's drum, sticks, and photograph. A sample of some of our larger manuscript collections, available at Andover Historical upon request.